We always complained and cursed as Children, whenever our parent requested us to assist her in daily chores which do not involve our innocent dreams, aspirations and entertaining choices. But, Hajji, (real name Saidi Havugimana) 51, from Mugandamure, Nyanza District in Southern Rwanda was a different child who discovered from an early age, that her grandmother was rather preparing him to become a household name he is today. 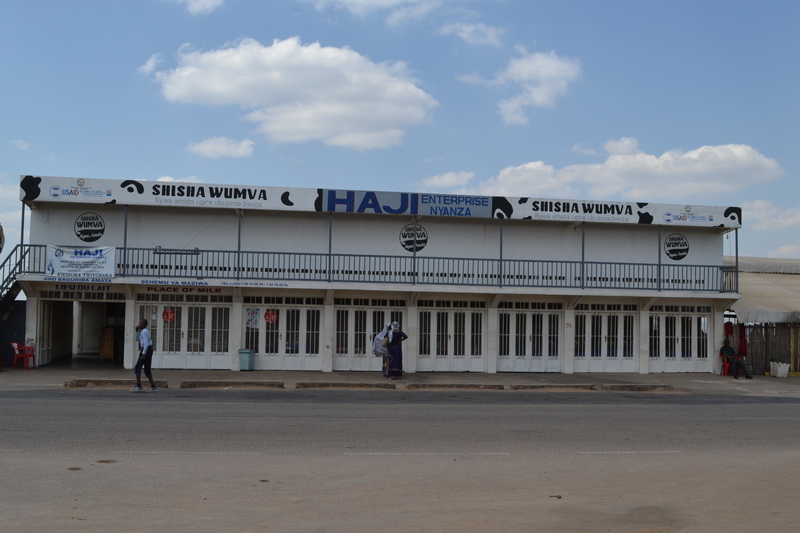 At Mugandamure, the gateway of Nyanza town – on the Kigali – Huye Highway, a bus stage was named ‘Kwa Hajji’, meaning at Hajji’s. Hajji is a title which is normally given to a Muslim who has successfully completed the Hajji – pilgrimage to Mecca. The stage was named after Hajji and it’s not for granted because there are so many successful businesses in the area. 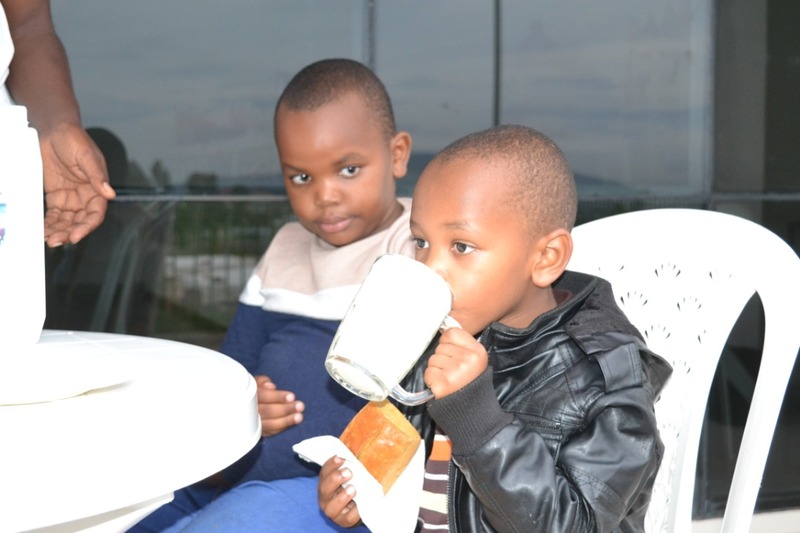 For example, there are plenty of milk shops in his area which is adjacent to farms of the Rwanda agricultural research institute and other farmlands. 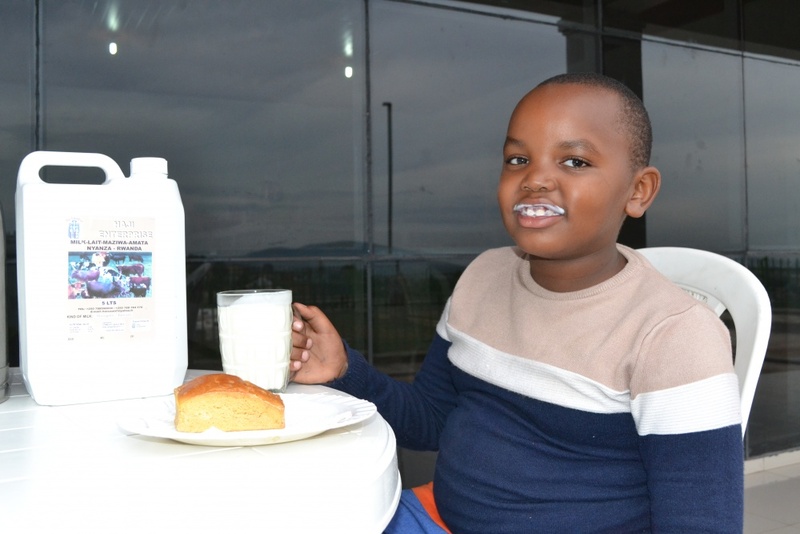 However, Hajji’s milk selling point has become outstanding and is helping him to build a business empire under the brand name ‘Haji Enterprise’. Since early 2000s, clients, especially commuters started making stopovers at Haji’s to buy milk. This “insinuated that I was making a difference,” Hajji told KT Press during a visit to Mugandamure. “They were all saying ‘Let’s go Kwa Hajji, ‘stop at Hajji’s” and the trend continued until every bus almost made it a point to stop at the stage.” he intimated. Hajji says he owes success on humility and serving his clients with diligence. “Whatever my employees do, I can do. Cleaning and washing dishes does not scare me at all,” he said. A very humble person shaped Hajji’s business character, in a way he probably did not know. 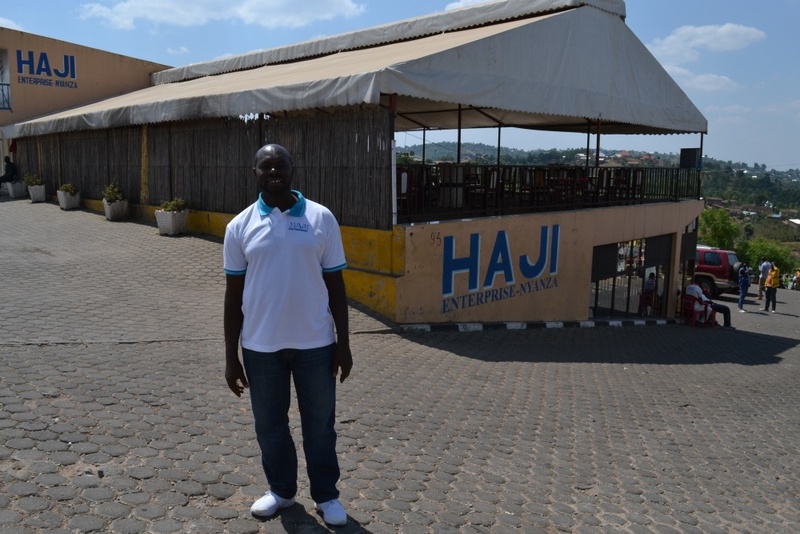 Hajji’s business acumen is as old as his age. He recalls when his grandmother used to ask him to call clients to buy her groceries at Mugandamure market before even before he started Primary school. “She was using me to call clients. They would come with pleasure following the little boy doing marketing,” Hajji told KT Press. Sometimes his grandmother would send him to graze cows, and he would use that time to envision his future business career. “I used to collect small stones pretending that they were groceries and then call clients, sometimes giving cows the chance to overrun neighbors’ crops,” Havugimana reminisced. When he started school, Havugimana discovered a secret on how to get clean money. At break time during coffee harvesting season, he used to rush to a nearby coffee washing station to collect coffee beans that were neglected through the washing exercise. The shrewd businessman always finds an opportunity to do business around him because he brands every person next to him as a potential client and has a nose for a business gap. In 1983, he completed Primary Leaving Examinations and went on to secondary school at Runyombyi high school in the remote Nyaruguru district. Automatically, he adjusted to the boarding life and found a business appropriate to the new environment. He made a business plan overnight, and the following morning, he told his roommates that he would be their one stop center for stationary. “Runyombyi is a remote area and at that time there were no mobile phones, so it was not easy for parents to connect with their children. This meant that I was the only option whenever a student needed a new note book, a pen and other requirements,” he narrated. This business was being conducted in a top secret. “They once checked the hostel and found a lot of my business items particularly candies but my clients defended me saying that those were items I won in a rotary,” he said. Upon finishing secondary school, Haji tried to carry on with formal education, but a couple of years later, he realized that it was not working for him. He quit and set up a tent at Mugandamure where he started by selling doughnuts targeting workers at a nearby school construction project in the early 90s. In 1992, Havugimana bought his first Bicycle – first mobility solution for his business. He bought it at Rwf18, 000 ($20) and it was enough to transport goods for his ‘canteen’. By 1995, the business started thriving and clients started ordering for milk. He started from one litter of milk, then upgraded to 5 litters and then a milk collection and processing center it is today. 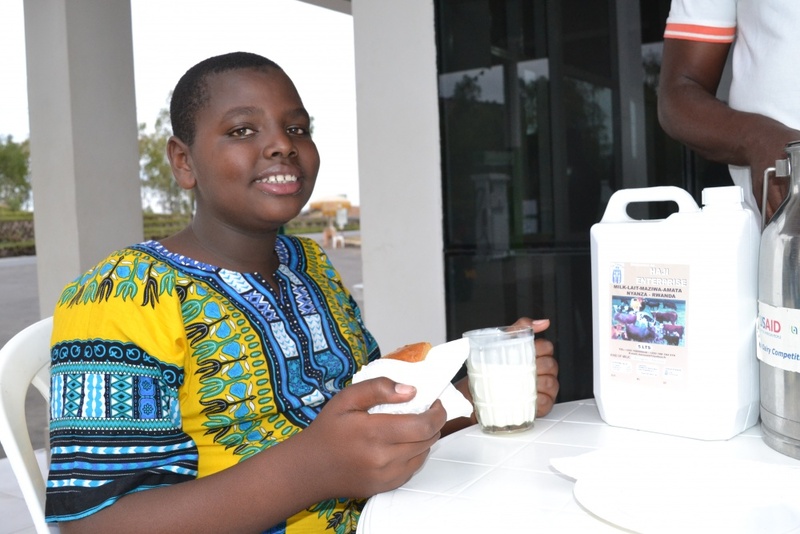 Currently, he sells 2000 liters a day at a unit price of Rwf500. 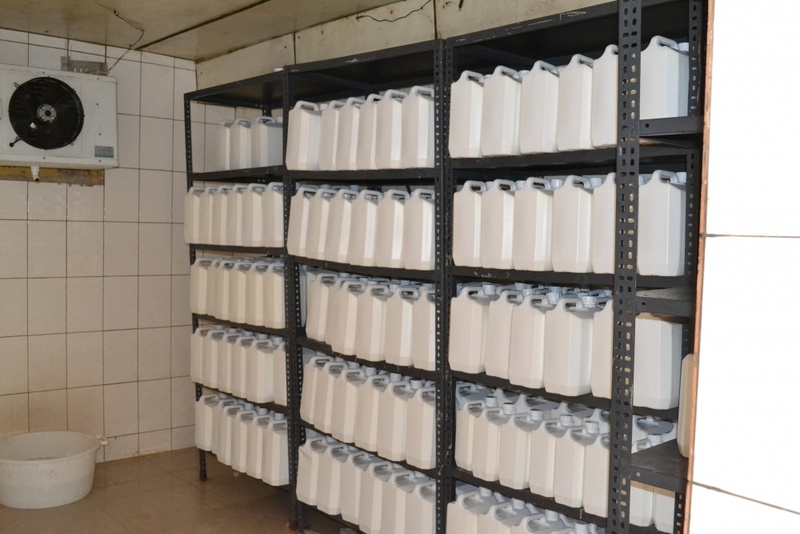 This means at least Rwf1 million daily or Rwf360 million ($403,000) a year, just from milk. 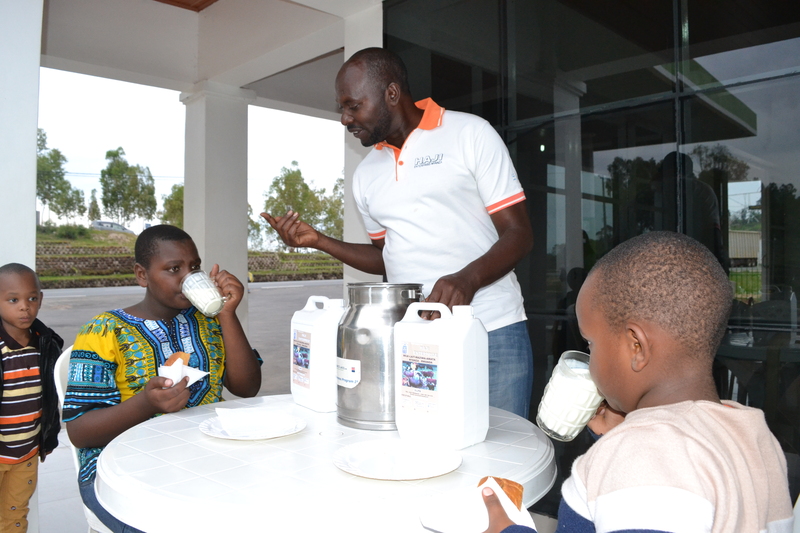 The business is currently expanding to a milk processing factory worth Rwf700 million from own budget. The father of six including three boys is now training his children to learn the family business. 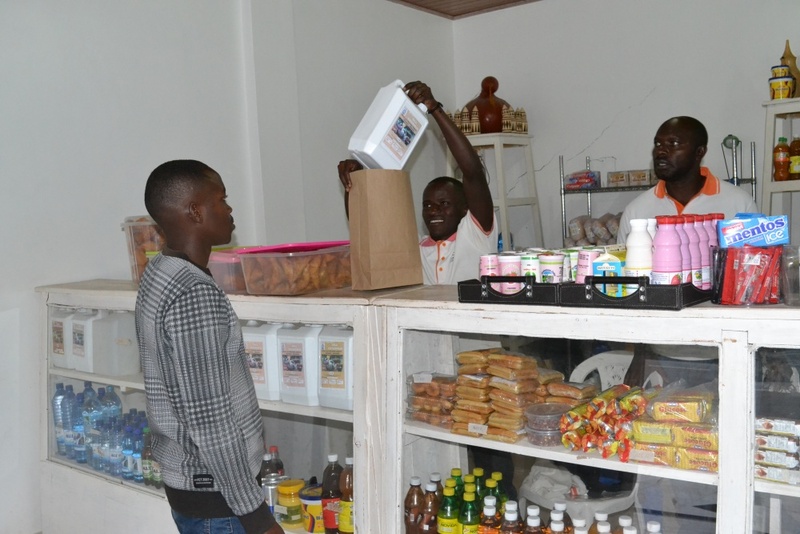 Currently, he has opened a new shop in Muhanga district. Every Saturday, his sons join him at this branch while his daughters including two university students help their mother at the main branch. In the evening, Hajji drives his Mazda pickup back to Nyanza. 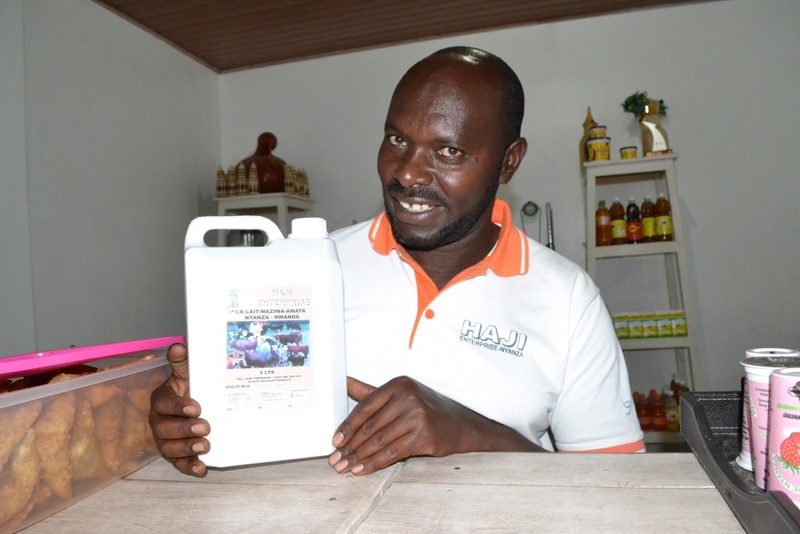 In 2016, Hajji acquired a Masters’ Degree in Business Administration from University of Lay Adventists of Kigali (UNILAK) to acquire more knowledge for his business.